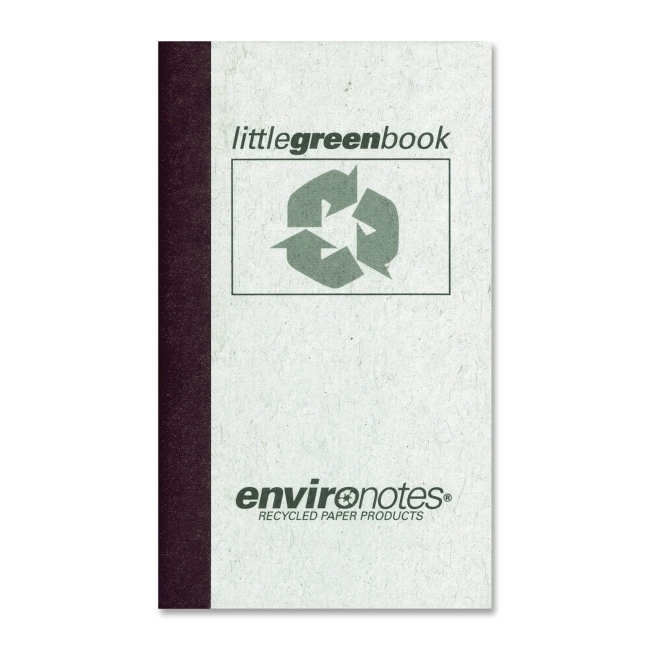 Little Green book memo book is part of the Roaring Spring Environotes collection of recycled products. The cover and back are made of a high percentage of recycled material. The cover also features the green recycling emblem with the three chasing arrows. 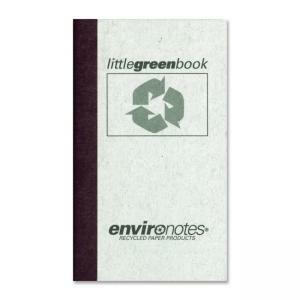 The pocket-size memo book is tape-bound to avoid bulky wire and center sewn along the long side for lasting durability. Inside, the 60 sheets are narrow-ruled.